The Campine’s intelligent nature, upright carriage, and stunning plumage make them a show favorite. Quite rare in America, they enjoy most of their popularity in Northern Europe. The Campine, an active breed, do better as show birds and layers than pets. Although weighing only four to five pounds, they produce an average of three, medium-white eggs a week on modest feed. The hens rarely brood. Campines like to fly; thus, they need suitable fencing to prevent escape. In the summer months, Campines love to forage. However, they easily suffer frostbite in the colder months. The Campine, fortunately, accepts confinement in the winter months. Avid foragers, the Campine needs ample room to roam, so build an adequate run. Confinement in the summer months leads to a form of fowl paranoia and generally unhealthy chickens. In winter months, Campines want for a large coop to protect them from the elements. 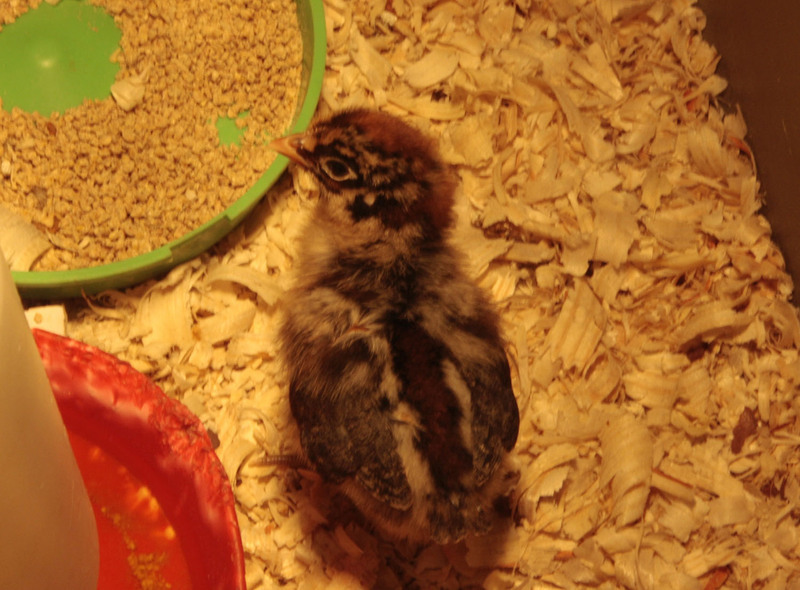 Keep show fowl on wood shavings to protect their feathers from damage and dirt. Campines have a flighty disposition. Keep their environment quiet and calm. They like to fly. Use fencing wire high enough to prevent their escape. Campines will provide three eggs a week, up to two hundred a year if given a good-quality, layer feed. One of the older breeds known to man, some date their origins to the old Roman empire. Breed historians have documents referencing the breed back to 1416 in the region of Campine, Belgium. Only 500 birds live in the United States. Northern Europe has more of the breed; however, many experts warn that Campines may face world-wide endangerment. The Campine we know today came from England and resulted from the breeding of two Belgium breeds. 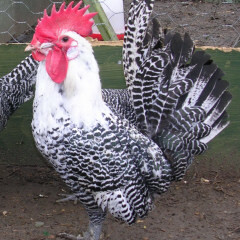 The American Poultry Association registered them as an accepted American breed in 1914. 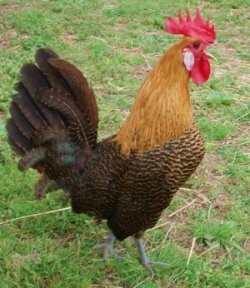 Today, most ranchers keep them for show; although, the breed still has a good egg-laying reputation.